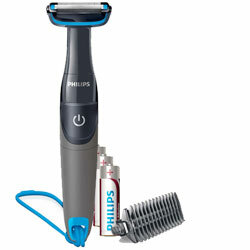 Present your loved ones this Unique Skin Protector Men's Trimmer from Philips and let them taste the real flavor of your love. This is the brand’s most powerful Hair Trimmer in the market, as its specifications include Waterproof Shower Cord, Unique Skin Protector and 32 mm Cutter Width. Flowers Delivery Sivakashi, Send sweets Bhilwara, Wedding Cake Delhi, Diwali Mithai Surat, Send Flowers and Gifts to Roorkee, Online Shop Mathura, Flower to Kanpur, New Year Flowers Siliguri , Fresh Fruits Silvassa, Send Gift Jamshedpur, Dry Fruits to Puttur, Birthday Delivery Tirunlveli, Sending to Firozpur, Flower shop Belapur, Nashik Online Cake Delivery.